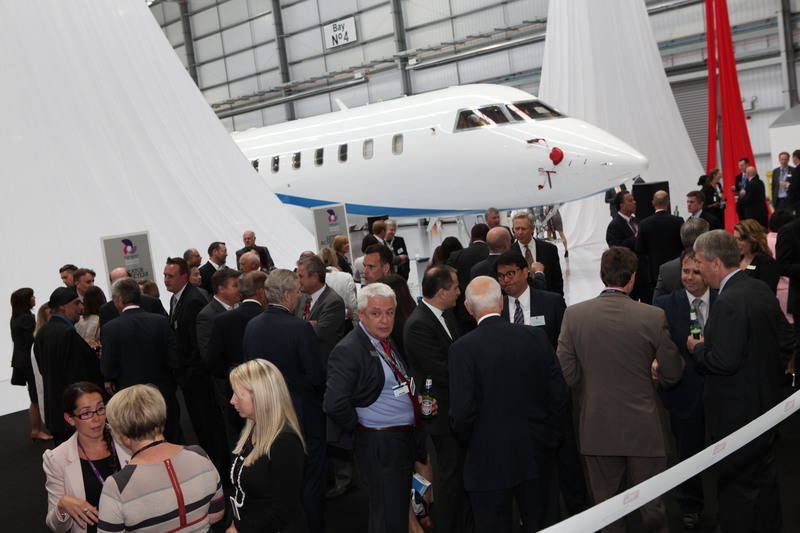 Uncategorized « Cirrus Event Management Ltd.
We’ve had a brilliant and busy week at the Farnborough Airshow, supplying staff to a number of companies, locations and events. Raytheon used around 40 of our staff in both their chalet and pavilion; running reception, security, meeting coordination, runners and buggy driver services. We were also delighted to support the pre-show customer invitation process using the TED guest management database and handling all guest invitations, responses and meeting coordination in the runup to the event. We’re now turning our attention to delivery post-show metrics to support ROI analysis. We also coordinated the TAG Hangar II and Flight Global Awards Ceremony during the show, which was a great evening and involved jazz music, aerial acrobats and a prestigious award ceremony fronted by TAG’s Brandon O’Leary and the ex-Olympic athelete Sally Gunnell. AIA and Spriit AeroSystems requested our support for at-show staff, and we also provided badging system and hostess staff for Spirit’s reception at the Tower of London. Cirrus was commissioned to build the stand for Gama at EBACE once again, we also provided onsite project management and reception staff. 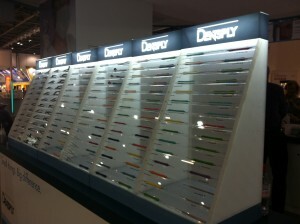 Take a look in our Gallery for more photos of this impressive stand. We’re delighted to annouce our three company partnership which will deliver a complete range of services to exhibitors who wish to enhance the return on investment in their shows. Please see our factsheet for further information. Cirrus enjoyed being part of what was a very successful week for Boeing at the Singapore Airshow. At the start of the week Lion Air finalised their order for 230 737s, valued at $22.4 billion and the largest commercial airpline order in Boeing’s history. They also launched their new commercial aviation services brand ‘Boeing Edge’. All this excitement made for a very busy exhibition stand with around 2,000 visitors a day to keep our Cirrus staff busy! The Cirrus team have just returned from a very successful week at the Dubai Air Show which was attended by a record-breaking 56,548 people. Starting the week with the announcement that Emirates Airline had ordered 50 777s in an order worth $18bn made for a busy show for Boeing and our staff who were manning their stand and chalet. Meanwhile our Guest Management system helped meetings run smoothly for Raytheon who showcased their AESA radars at the show. 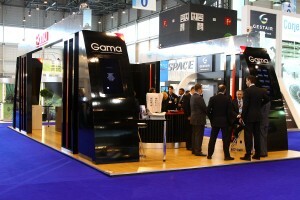 Find out about upcoming show dates 2012-2013 – particularly in the Aerospace Industry. Cirrus is providing or has provided support at all of these shows to a variety of clients. Find out how you can benefit from this knowledge and experience, call us on +44 (0) 1252 310 600 or send us an email. We round off the year with a Christmas Cocktail function for Astrium. As well as providing staff for the function, we’re managing guest invites and registration.